We were at a restaurant in a hotel and guess who paid us a visit? A beautiful fly. 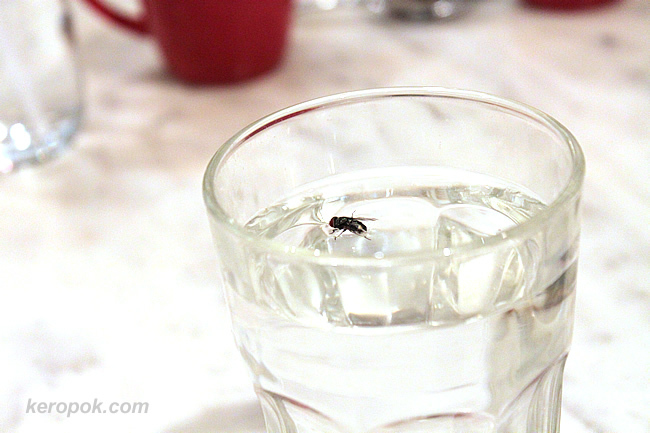 lol, so that's a complimentary fly! Ya, some things are free in Singapore.